Starting at the center edges of your brows, brush upwards along the lines of your brows, almost like filling in a coloring book – stay within the lines! 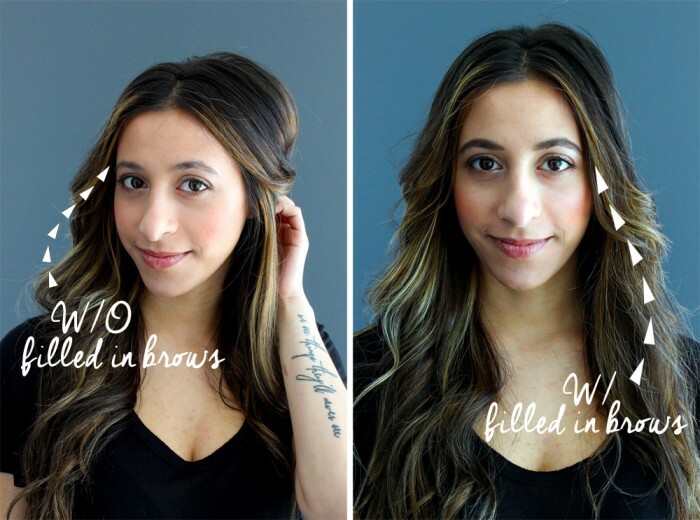 The idea isn’t to cover your brows but to enhance their shape. Filled in eyebrows can make the difference between an almost there look and being put together for a night out or special event you have coming up. Here at Blink Brow Bar we’re experts in the matter so leave your brows in our hands. Blink Brow Color Pods $14.00.